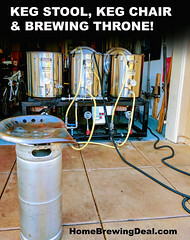 MoreBeerPro.com Coupon Code Description: Right now at More Beer Pro, you can save a small fortune on a 5 BBL Stainless Steel Conical Fermenter with a cosmetic defect. 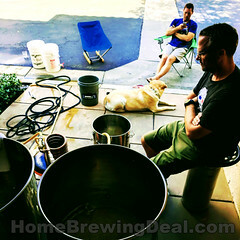 If you act now, you can save $2,200 on this BrauMeister stainless steel conical fermenter. The Condition: New – Cosmetic Defect and the Cosmetic defect potentially affects functionality. May not hold up to the designated pressure rating below. Clearly visible dent is at shoulder near the face of the unit. 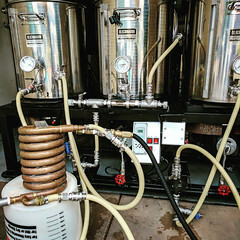 This stainless steel conical fermenter is built in Germany by Speidel, the world-class traditions of German engineering and craftsmanship are reflected in these tanks. Bottom drain fittings are 1.5″ Tri-Clamp. Conical tanks come standard with legs. Also this tank specifically is made to handle up to 1.2 bar (17.4 psi). The Braumeister Fermenters are equipped with a jacket that covers all accessible areas of the tank. This will allow you to hook it into a glycol system for full temperature control! All Braumeister Stainless Steel Beer Fermenters feature 1.5 inch T.C. outlets (One complete drainage at the bottom of the cone, one in the middle for racking arm, one on top for blowoff/airlock), and also two welded DIN fittings. These are equipped with hardware at the factory, one has a sample valve; the other has a thermowell / thermometer combination. Speidel tanks feature an ultra smooth interior surface which effectively means cleaning is too easy. Speidel backs up each and every tank with an industry-leading 25 year warranty against defects in materials or workmanship. 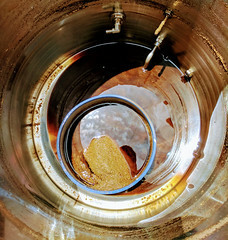 Speidel stainless steel fermenters are on average around 25% thicker than Italian manufactured tanks of the same general capacity and dimensions and all Speidel Braumeister tanks are outfitted with conical, pocketed bottoms for total drainage, which maximizes product yield at rackings and makes cleaning a snap. Here are some of the features on this Speidel Stainless Steel 5 BBL fermenter.